RadiMix gas blowers are perfect for heating modern buildings. 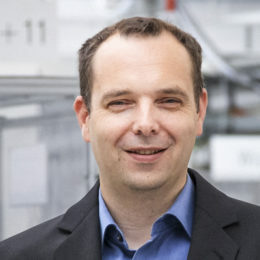 Frank Schlopakowski, Head of Design Department R&D at ebm-papst, explains why. What makes the RadiMix gas blower special? The RadiMix series includes four sizes: VG 71, VG 100, VG 108 and a size that is still in the development phase. What they all have in common is unusually high flexibility in terms of power range and modulation at high efficiency. Their efficiency is five percent higher than that of comparable products on the market. Last but not least, they are very compact, quiet and eco-friendly. Where are the gas blowers used? Gas blowers are ideal for the gas-condensing units used for heating modern residential buildings. These units supply thermal energy quickly when it is needed and cut back just as quickly. For example, when the whole family needs hot water to shower in the morning, the high performance is there, and at night the heating system reduces its output, which is good for the environment and lowers the heating costs. With their high modulation bandwidth, our RadiMix gas blowers meet these requirements ­perfectly. What other benefits do customers have? Better aerodynamics and a new, more efficient motor make the RadiMix gas blowers very compact. That means our customers, the producers of condensing boilers, can offer smaller units without compromising on performance and convenience. Our new gas blowers are not only adjustable to a wide range of performance requirements, they can also be adapted to various installation scenarios. For example, the side panel is made of sheet steel instead of the usual die-cast aluminum. That enables custom and always optimal positioning of the electrical hookups on the motor side. The gas mixing unit, the so-called venturi mixer, which can be optionally positioned in the intake area on the housing, can be customized to customer requirements. 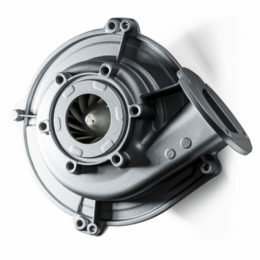 In addition, the RadiMix series is quiet compared with the previous blowers. How was it possible to make the high-performance blower so quiet? In addition to reducing airborne sound, we focused on reducing vibrations. Using modern development tools, we were able to optimize the isolation from vibration. The sturdy motor cover, which is decoupled from the drive, also contributes to a low noise level. How does the blower fit with smart home concepts? The electronics have been completely redesigned and can be integrated in digital systems through optional bus interfaces. That makes it easy to analyze parameters like output, temperature, service status or operating voltage. The stored data enable both preventive maintenance and remote trouble­shooting.